NOTE: The production of certain banded or banded solid brass bullets have been temporarily suspended by the US government who has requested manufacturers stop producing and selling them. The 50 caliber is most likely next on the list of bullets to be removed from production and will no longer be available to the public. 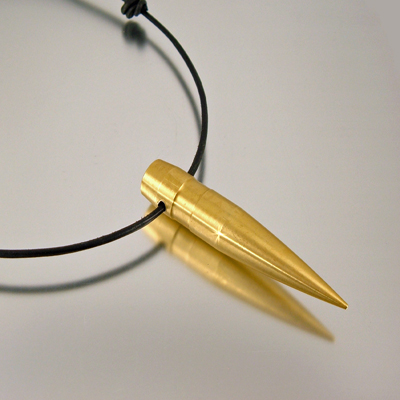 Get your .50 caliber before they are gone. 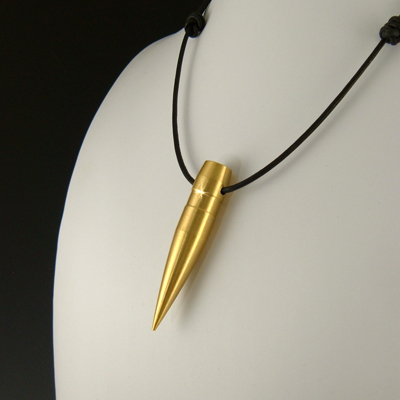 This is a 50 Caliber BMG all brass bullet necklace, pendant�it�s the big bad boy of them all! 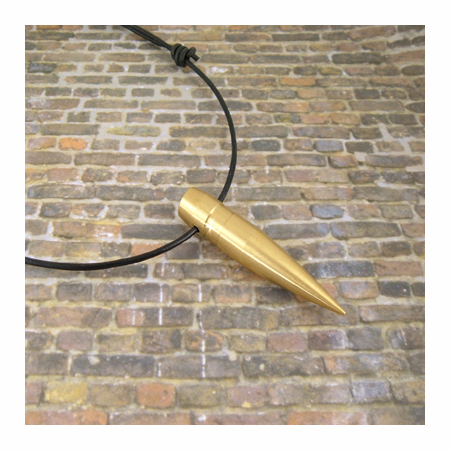 Not for the meek or mild, this bullet head means business. Bright, polished, and simple in design. 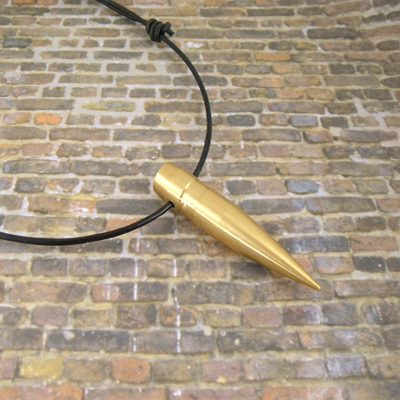 Made of solid brass, it�s an impressive 2-5/8� long hung on a leather adjustable cord. 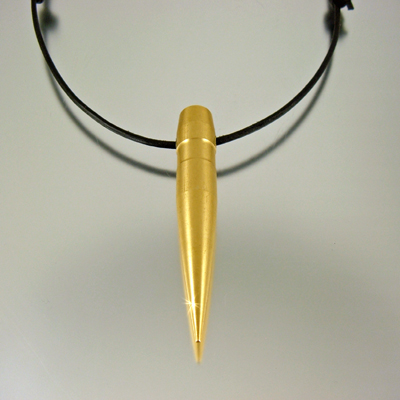 Optional requests for hand carving initials, dates or designs for this bullet head are being taken. 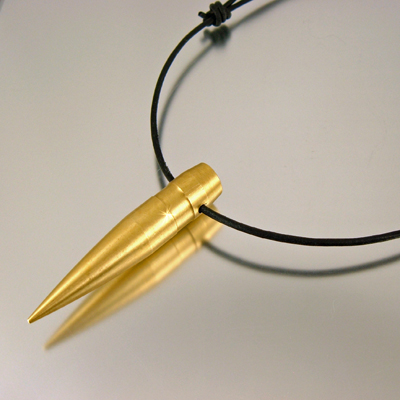 If you have a special date or occasion, let me know, I can design an original one of a kind special 50 caliber bullet head for you. Make it a memory, make it yours! Additional charges will apply. 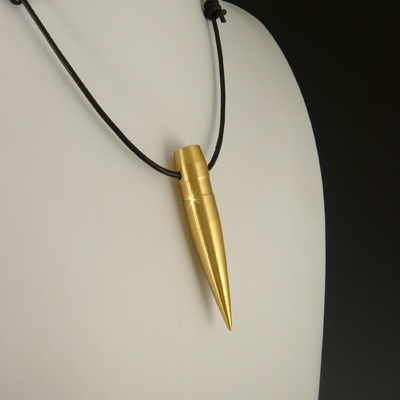 This pendant is made when ordered, please allow an additional day or two prior to shipping.